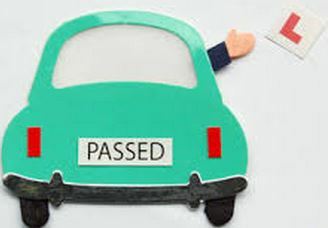 Once the standard of your driving reaches a satisfactory level and you have mastered each topic on the driving syllabus, you need to take and pass your driving test to obtain your driver’s license. Learner drivers must have a firm grasp of each subject and be able to replicate everything set out in the National Standard For Driving Cars without instruction, to ensure they have a good chance of passing the test. It is equally important to listen to the feedback of your driving instructor, as they will know if you are ready to book a driving test or not. 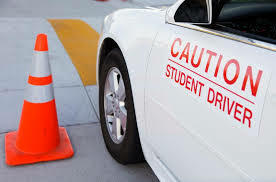 To ensure that each individual is capable of driving in a safe and responsible manner, learner drivers are required to pass a driving test, before legally able to drive independently. The driving test tests your ability to correctly identify and respond to hazards, your understanding of the different road signs and traffic markings and how competent you are on a range of different road types. The average waiting time for a driving test is 6 – 8 weeks depending on how busy your desired driving test centre is, however there is a service you can use to help you book a driving test at an earlier date. The DVSA’s driving cancellation service lists times and dates that are available due to a prior cancellation and you can use this service to find a driving test at an earlier date. It costs £62 to book a driving test on a weekday between Monday and Friday and £72 to book a driving test in the evening, the weekend or a bank holiday. The cost of a driving test has not changed in the last 5 years, while the cost of the theory test fell in 2015. What Should You Bring On Your Driving Test? What Happens on a Driving Test? Before setting off, you are required to read a number plate from 20 metres away while stationary, to ensure you pass the minimum eyesight requirement for driving. If you are unable to read the number plate at the required distance, you will not be allowed to continue and your driving test will be classified as a fail. You are required to answer 2 vehicle safety questions, from the show me tell me list of potential questions. These questions test your knowledge of things such as operating the windscreen wipers, checking brake lights and using the demister among other things. 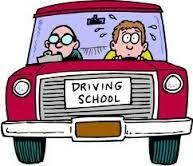 The bulk of the examination is a test of your general driving ability. In this section you may be required to drive on the dual carriageway, large roundabouts and navigate a range of pedestrian crossings. You will not be taken on a motorway during this test, as the Highway Code prohibits learner drivers from doing so. 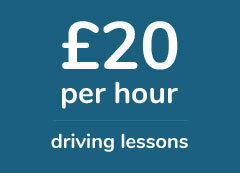 Driving manoeuvres are one of the most challenging aspects of learning to drive. It is important you dedicate time during your driving lessons, to get to grips with each of the manoeuvres listed above. This part of the test requires you to drive independently, following signs and or your driving examiners instructions. Your examiner will draw a simple diagram indicating the route you need to follow and you will be assessed on your ability to drive without needing further instruction. During the course of your driving test you will be assessed on a range of things, from how well you control your speed and practice good road positioning, to how you respond to road signs and deal with developing hazards. If you drive to satisfactory standard and commit 15 0r fewer minor driving faults and no serious or dangerous faults, you will pass your driving test. The test last approximately 40 minutes, however if you are taking an extended driving test, due to a previous disqualification, it can last up to 70 minutes. The extended driving test is a more rigorous examination, which is designed to ensure that the individual is fit to drive, following their previous conviction. It is perfectly natural to feel nervous during your driving test, as driving under exam conditions can be very stressful. How well you deal with your nerves goes along to determining whether you pass or fail on the day and we have a few tips to help you overcome your nerves during your driving test.